Welcome to the fabled Gold Coast, that stretch on the North Shore of Long Island that once held the greatest concentration of wealth and power in America. Here two men are destined for an explosive collision: John Sutter, a disillusioned Wall Street lawyer holding fast to a fading aristocratic legacy; and his distinctly unwelcome new neighbor Frank Bellarosa, a Mafia don who has entered the Gold Coast's world of money, mansions, and manners with all the grace of a barbarian chief. Soon Bellarosa infiltrates the lives of John and his regally beautiful wife, Susan, drawing them into his violent criminal world. 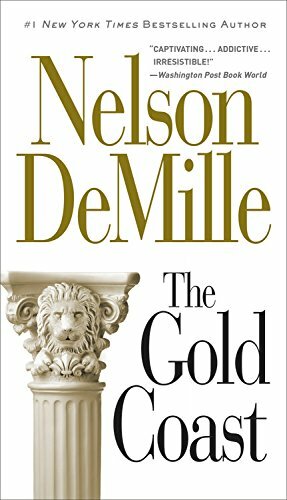 Told from Sutter's sardonic and often hilarious point of view, and laced with sexual passion and suspense, THE GOLD COAST is Nelson DeMille's enduring fan favorite.